Although measures to decrease poverty and reach the UN Millennium Goals in 2015 have yielded some initial success, progress has been slow and has not yet reached all sectors of society. Costa Rica now faces the challenge of finding the right balance between economic progress and improving the quality of life of the population. Limón, capital of the department of the same name, has a population of around 70,000 and extends along the Caribbean coast of Costa Rica, bordering Nicaragua in the north. Though the Limón province has a very diverse culture and history, its population today is predominantly Afro-Caribbean. Puerto Limón is the most important port in the country, handling almost 90 per cent of Costa Rica’s imports and exports. The interior of the province relies on agriculture such as banana, coffee and sugar growing. 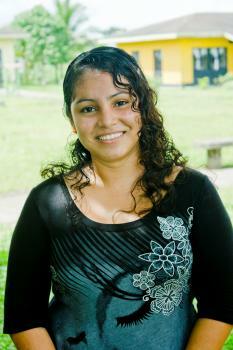 Limón has also been the province with the highest population growth in Costa Rica in recent years. However, despite the strong economy overall, more than 5,000 households in Limón live in conditions where they are unable to meet at least one basic need, e.g. clean water, sanitation or an adequate diet. Government figures show that over 100,000 children between the ages of 5 and 17 are estimated to be working, mainly in agriculture (43 per cent) and the commercial sector (21 per cent). The figures also indicate that child labour has severe effects on education. Although some progress has been made in recent years, only 86.4 per cent of children complete their primary education in Costa Rica today. However, child labour in Costa Rica is not only an economic issue, but also a social one: historically, children have always contributed to the family economy, both in paid and unpaid labour. Education is therefore necessary to change fundamental attitudes towards safeguarding children’s rights and redefining their role in society. Due to its large port and location near the border, drug trafficking is a big problem in the city, too. More often than not, young people get caught up in it, attracted by the easy money or because they are substance abusers themselves. These factors make for a very unsafe environment for children to grow up in, where addiction, crime and illegality endanger the stability of families and can lead to the abandonment of children in the worst cases. Children whose families are not able to look after them, as well as young people starting out on the road to becoming successful adults need support and guidance. 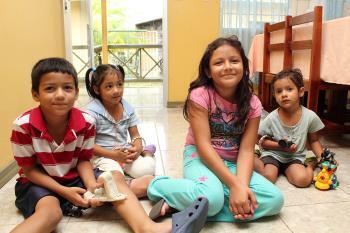 SOS Children’s Villages began its work near Puerto Limón in the year 2000. The main reason for the establishment of Costa Rica's second children's village was the severe poverty and the high number of children at risk of losing parental care in this eastern region of the country. Today, 13 SOS families can provide a loving home for up to 117 children who are no longer able to live with their parents. In each family, the children live with their brothers and sisters, affectionately cared for by their SOS mother. The Puerto Limón area offers good infrastructure such as supermarkets and medical care within easy reach of the children’s village. The children also attend local schools, meaning they are very much integrated into the community from a young age.